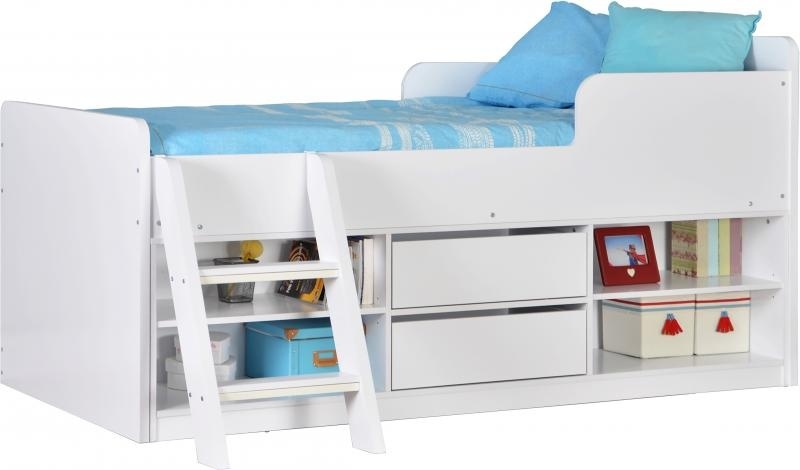 Excellent value, the Felix low sleeper bed is ideal for small bedrooms. 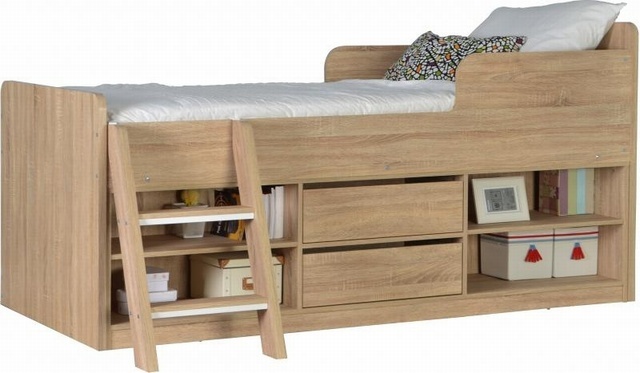 It has 2 drawers, 4 shelves and a 2 step ladder that can be positioned on either side of the bed. Delivery Cost - £30.00 (there is a £4 delivery discount for each extra item ordered).